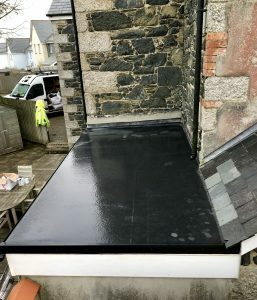 Firestone EPDM flat roof in Mullion. 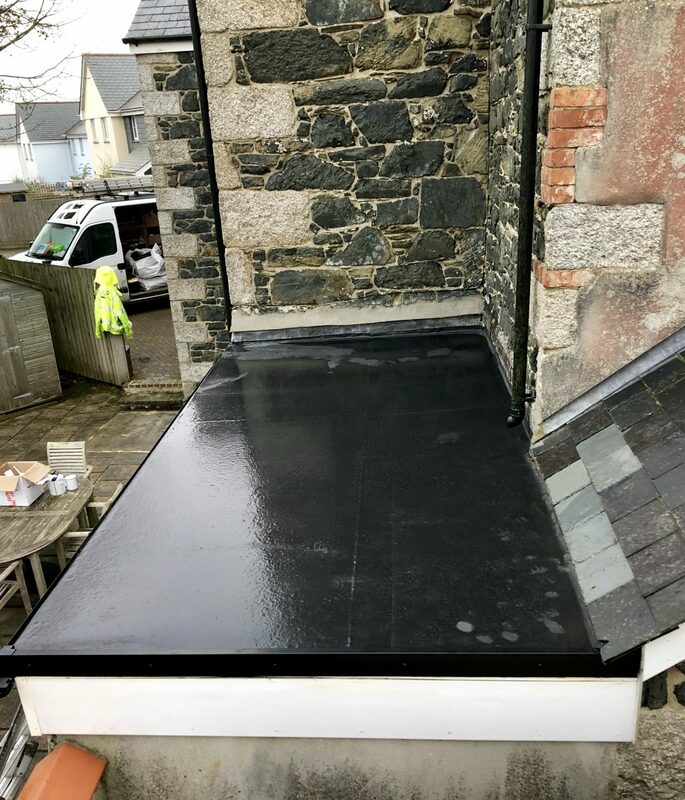 Another great flat roof replacement in Mullion. 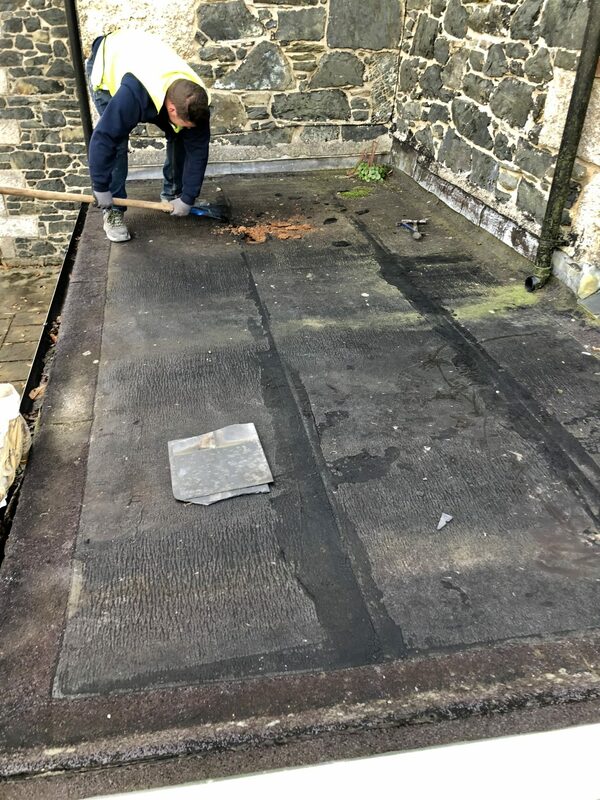 We have finished replacing this old felt roof and installing a new Firestone EPDM. 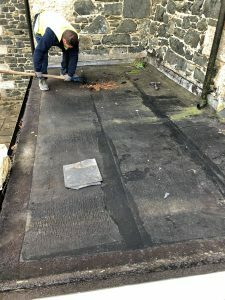 The installers removed the the old felt roof and deck boards. They had to take a small tiled part of the flat roof off and remove the old wet insulation. 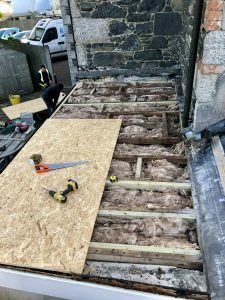 Once the old roof was off they discovered some of the roof trusses had rot in them and needed to be taken out and replaced with new tantalised 4 x 2 wood. 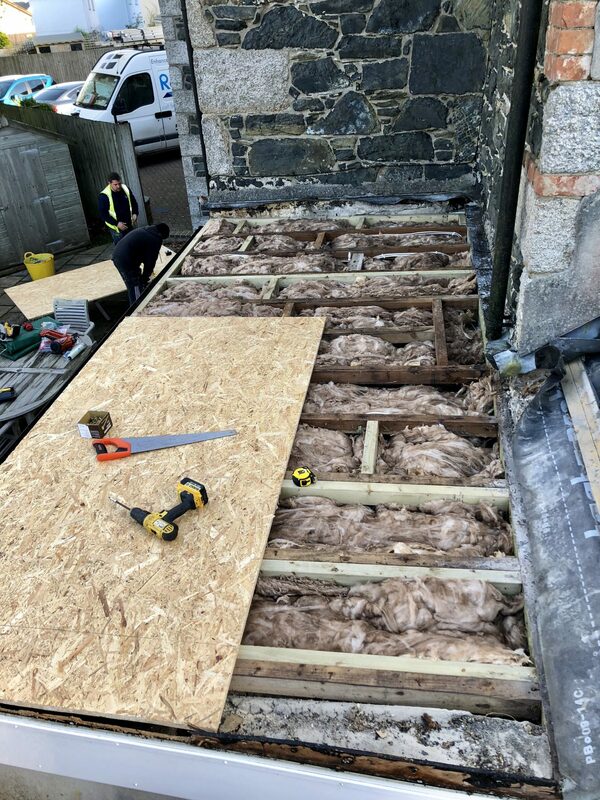 We replaced the old wet insulation with new 150 insulation and laid new 18 mm OSB deck boards. 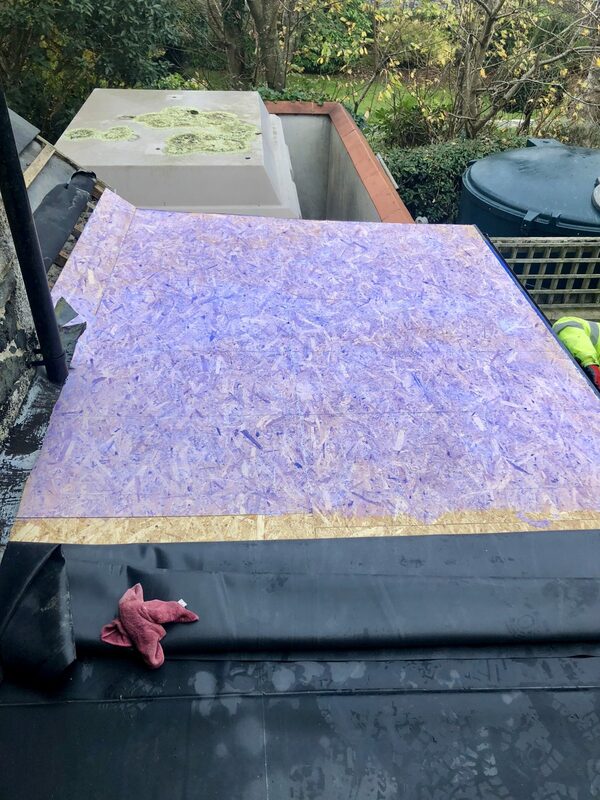 Then the installers laid the new Firestone EPDM with curb edges and new drip trims, terminated the internal corners and external corners ad reinstated the lead and roof tiles. The customer is very happy that he has a water tight roof in time for the winter.